A team of participants at IDDS Amazon developed several approaches to preserve the tradition of herbal baths and treatments in the Boa Vista do Acará community. These approaches included a sensory herb trail for tourists to learn more about local plants and biodiversity, a library of medicinal recipes with an audio guide including stories from the older generation collected by youth in the community, and a method for steam distillation for Priprioca oil extraction. The Ez Ncoro Team built a simple, low-cost, human-powered washing machine with the aim of reducing the time and effort required to wash clothes and conserving water, a precious commodity for the D’kar residents. With such a product, the D’kar community, especially the women (who are culturally assigned the role of washing clothes) can use their extra time towards rearing their families or running businesses. IDDS participants and community members created a prototype weed excavator consisting of a jagged cyclone with an adaptable handle. It was designed to facilitate weed excavation, soil rejuvenation, and shorter manual labor time. This report is in Spanish. IDDS participants and community members focused on promoting tetra-packs, an easy to clean, high use product in an effort to physically reduce trash that would otherwise be burned, reimagine waste, and create items that can be used for play by children. IDDS participants and community members developed a small-scale bailer for farmers who traditionally graze their livestock. For more information about this project, contact idds-tz-fodder@mit.edu. This paper charts the achievements of United States International University-Africa program and challenges for Kenyan entrepreneurs including inadequate equipment and technology, finance, research and linkages, and cultural barriers. 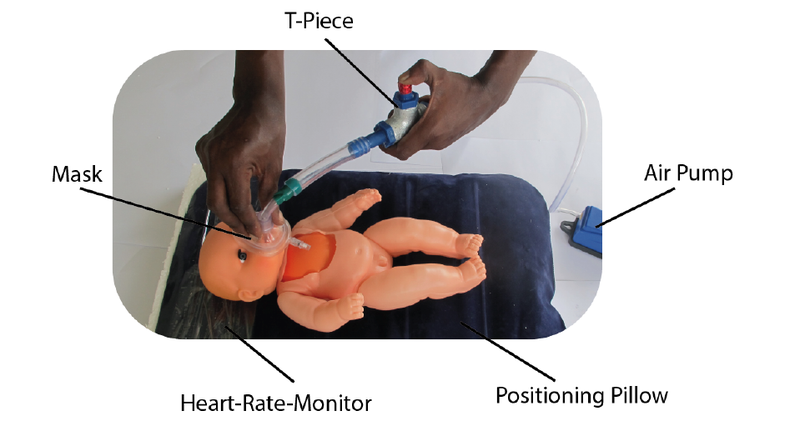 IDDS Aarogyam participants and community members from the Helping Babies Breathe group designed a low-cost and easy-to-use prototype of a new infant resusistator complete with heart-rate monitor and positioning pillow. For more information about this project, see contact details on the final page of the report. Participants at IDDS Amazon explored new ways of processing fruit to create value-add products such as jams and chocolate from the pulp, shells, and seeds of Amazonian fruits. In addition, the team worked with community members to develop appealing branding, packaging, and a business plan to support the sale of these products. This posted was designed by a team of participants at IDDS Botswana. It aims to share information and knowledge gleaned from the team’s work during the summit. IDDS participants and community members designed an alternative agricultural production system that optimizes the use of water using low cost technologies and less space. The prototype consists of a covered system of vertical orchards that collect rainwater and is estimated to yield 2.7-4.4 times as much compared to traditional farms using the same area of land. This report is in Spanish.